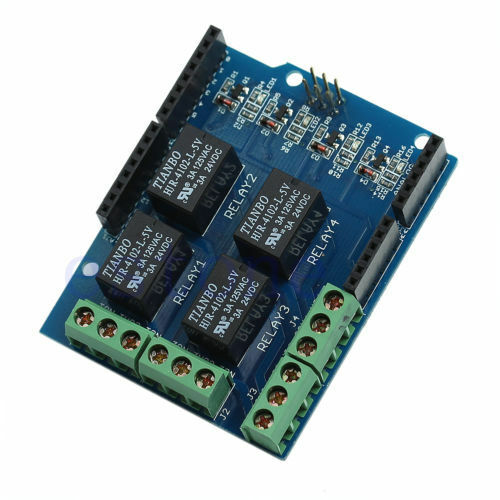 I recently purchased a box of 4 Channel Relay Shields from China for a control project. The quality of the boards is excellent but there was no documentation supplied except for an image or two on the original web site. Below is the relay board publicity shots so you get an idea of the board. I was planning to use them to switch 24VAC coils so no high voltages would be present around the Arduino or Shield. The 24vac would then drive externally (DIN rail) mounted 240VAC contactors. 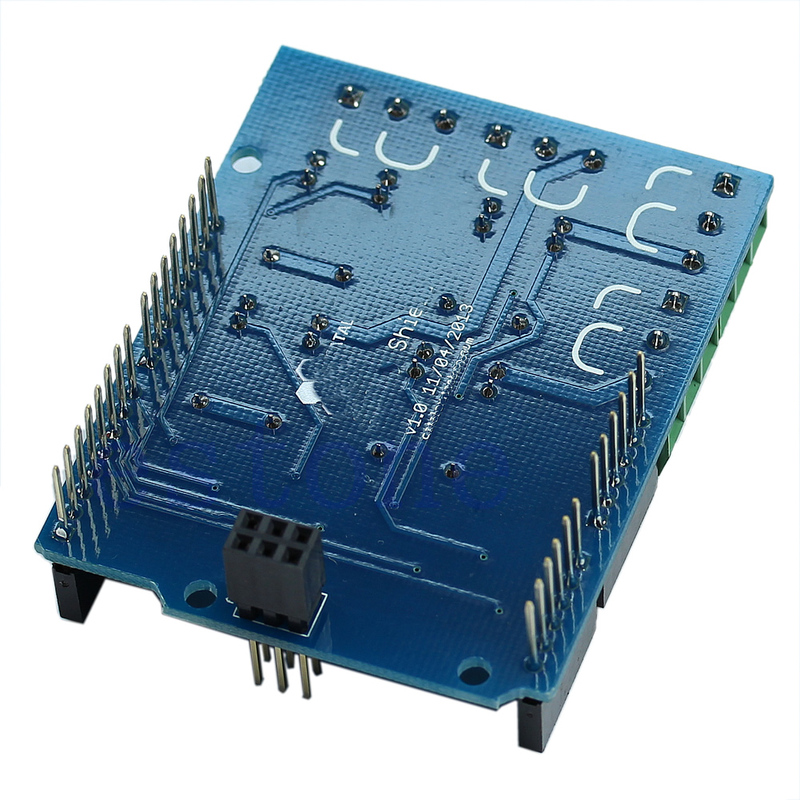 Standard for Arduino Shield interfaces and shape. 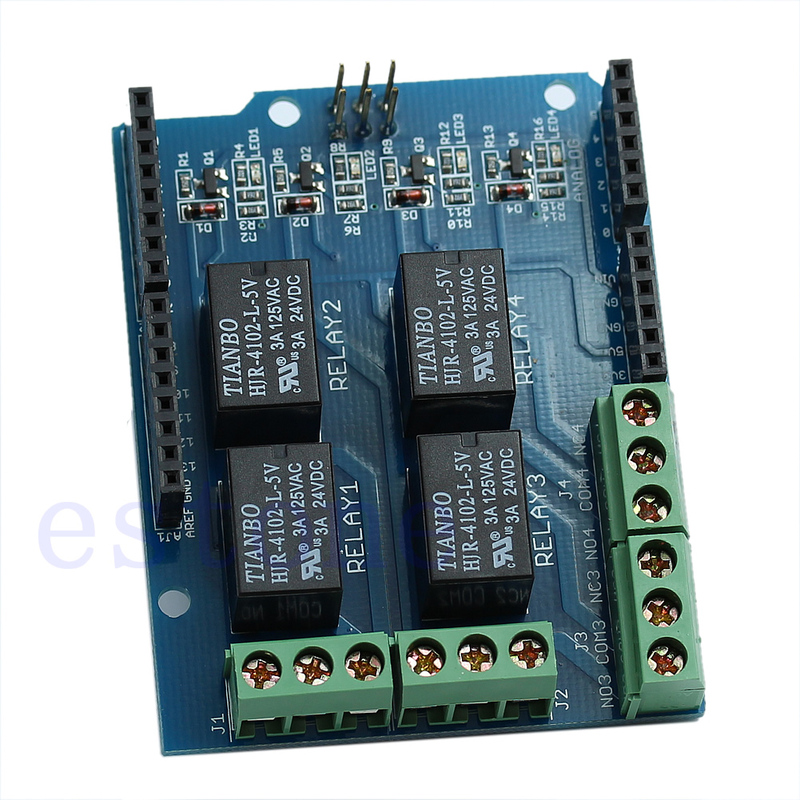 Can continue to stack other for Arduino expansion board (relays use Digital output Pins 7,6,5 and 4). 3x M3 screw positioning holes for easy installation. High Drive (5V or 3.3V) normally open contact closure. 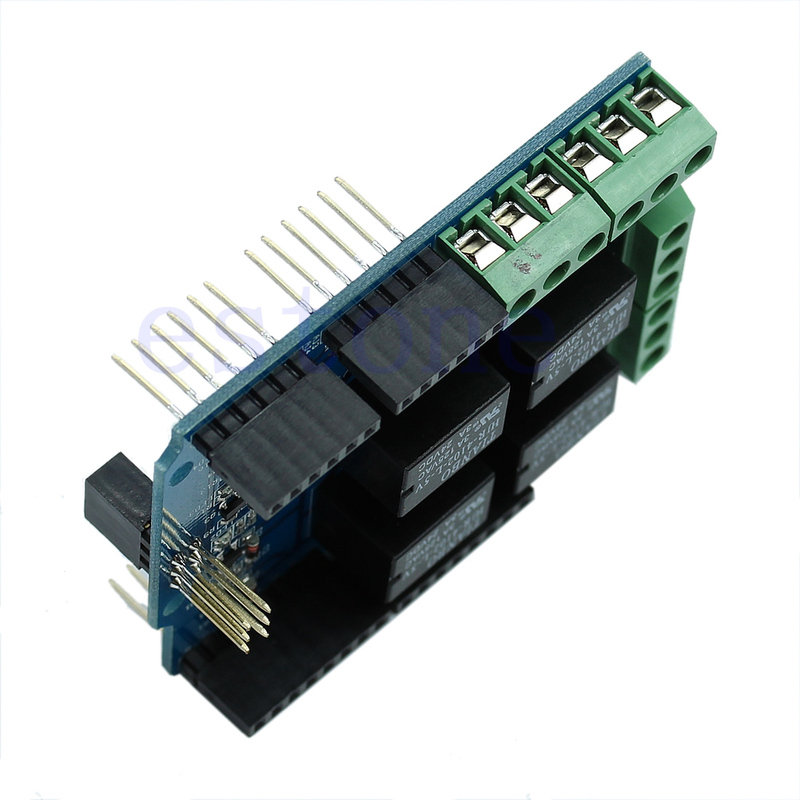 Special Note: If mounting on an Arduino Uno, verify that the pins of the green terminal blocks do not interfere with the USB interface (which is higher than normal). 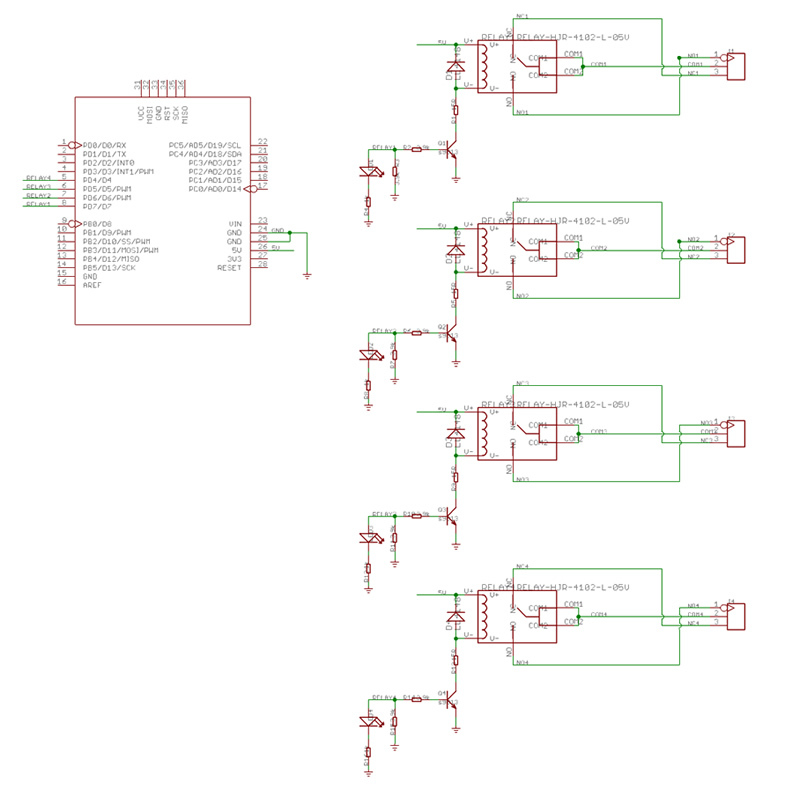 The circuit diagram for the shield is pretty basic, take note that the drive signal from the CPU pin to the relay drive logic is not drawn correctly. 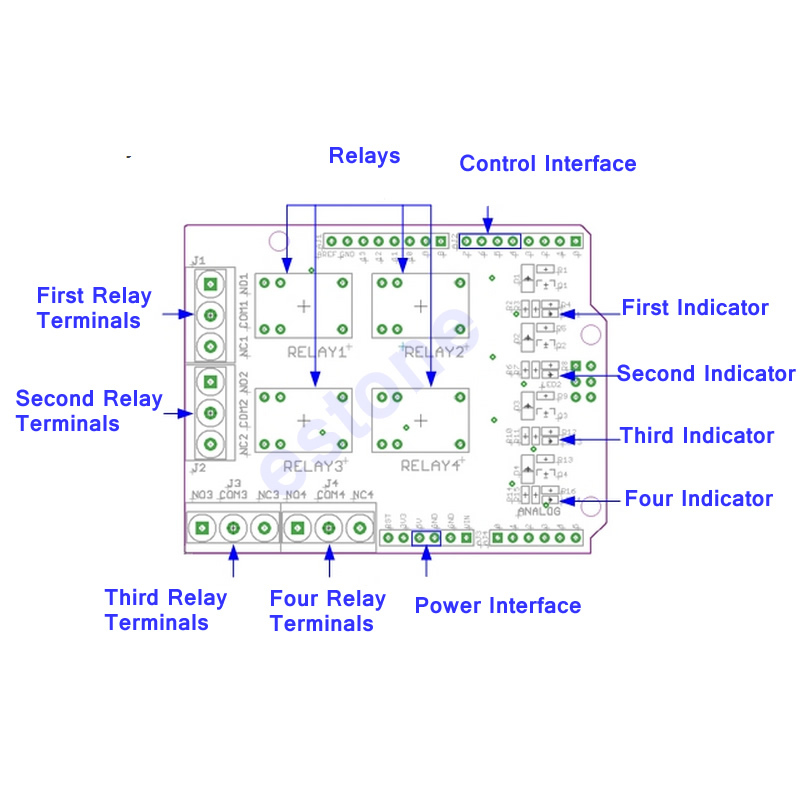 Indicator: four lights are red when the relay is driven high , the corresponding indicator will light up .